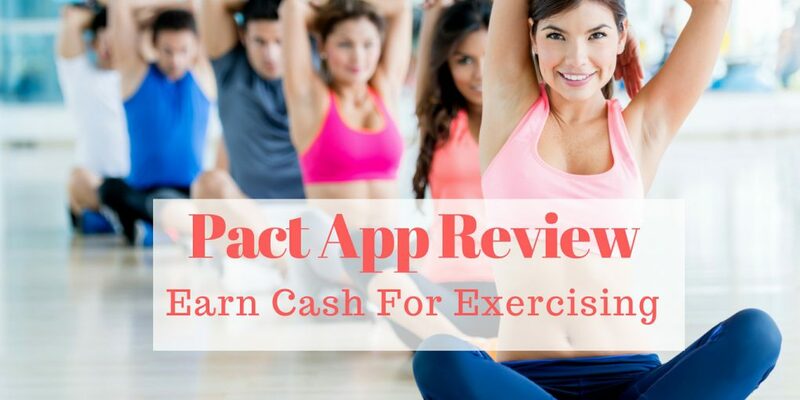 Pact App Review – Is GymPact Safe or Scam? It’s a common fact that most of us don’t pay proper attention to our health. There are many reasons behind it. One of the reasons is that we never put our health on the priority. It demands punctuality, and most of the people can’t follow it. Some of the people like to workout daily, love to go the gym but not able to implement it due to high expenses or laziness. Keeping in mind these points, the app was created that may solve your problem. 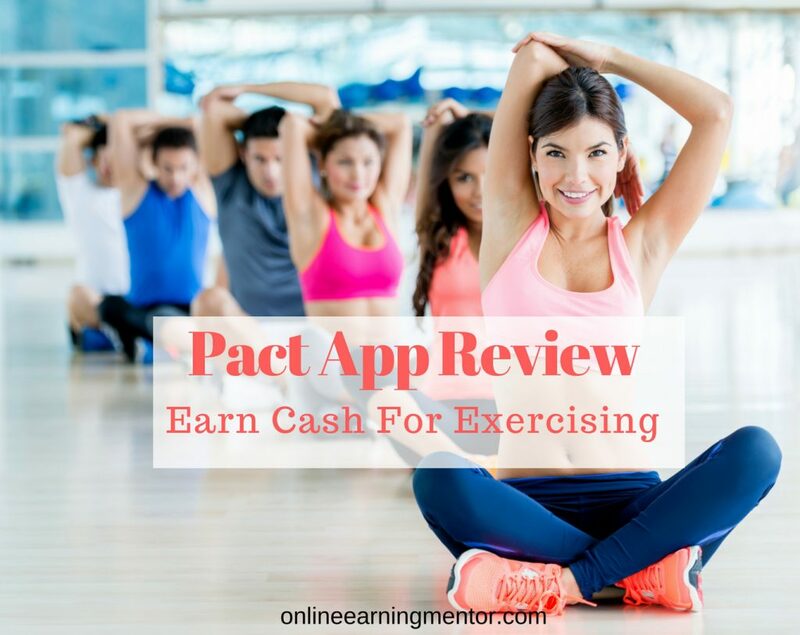 The app is called pact app (also called pact or gym pact). The app never charges you any fee instead it pays you for daily workout. How interesting is it? Pact app is a good step to keep you guys fit and healthy. The app was designed by the two students studying in the Harvard that rewards its users for daily workout. How exciting and surprising it is that instead of paying the gym for doing exercises the gym is paying you. You will be paid through PayPal if you complete all the targets that you wrote in pact application form. This app can be downloaded in IOS, Android devices, and smartphones. I know using this app can be useful for earning some money but for earning a fulltime income from home this is not the place to rely on. For that purpose, please see mt #1 choice. How Does the Pact App Work? The signing up procedure is as usual simple and easy because it is online. You only need a mobile phone with a good speed internet connection. Actually, before going to the gym, you have to fill a form in which you have to write all the tasks that you decided to complete in the coming week and the time you chose to spend in the gym. By the tasks, I mean the workout that you have to decide before. How Does Pact App Pay? If you failed to complete these set targets you have to set a fine for you from $5 to $50 and this fine is for every missing day. It is because the minimum range of the penalty is $5. And on the other hand, if you succeeded in completing the tasks, the gym will pay you $0.5 to $0.75 for each workout. In reality, the amount that is paid to you is not by the gym itself; it is the amount that is paid by the people for being absent from the gym. So it is a cyclic process. The gym gets fine from some of the people and in turn, pays others for daily workout. This app has now become famous among the people, and they want to join it if they don’t have to pay fine. You can receive your reward through your email account. There is good news for the users of this app that now there are two more ways of earning money. So instead of visiting the gym and doing work out now, you will also be paid for eating vegetables and tracking other food that you eat throughout the week. The purpose behind it is to develop the habit of eating vegetables among the people. Now your job is to set a deal that you think suits you best and start recording your weekly routine. The procedure is same as for the original one. But the disappointed point is that on completion of each deal you will be given only 20 cents. But if you put your full effort, you can make $5.60 (for completing all three pacts within seven days without even missing a single day). Gym-pact is an app that fines you for not going to the gym. And it is not going to make you a rich man. So don’t expect too much from it. You can make about 40 cents per day if you finish your task. After signing up, you have the option of setting up an agreement. Now it’s up to you that whether you would like to go to the gym for one, two or 7 days in a week. In order to take out of the money that you earned, you must have $10 in your account. And it’s a straightforward procedure. You can withdraw it directly from the app by selecting the option of “withdraw my rewards” in the settings. You must have PayPal account linked to your profile for receiving cash. Like many other apps, it is free to join, no registration or signs up fee. There is a chance that you may have to pay a fee for getting the reward from gym pact. PayPal charges for every single payment that is sent to you by the relatives or fellows as a gift. How Does Pact App Know You Have Visited the Gym? The pact app takes the help of GPS for tracing out that you have visited the gum or not. The gym pact has access to 45,000 gyms, and there is a proper record of a sign in and sign out of every single person. If you sign out before 30 minutes from the gym, you will not be paid because 30 minutes is the minimum workout period. After you sign in for the gym your mobile phone will start recording how much time you spend in the gym and if by chance you forget to sign out don’t worry your mobile will automatically do it after knowing that you are no more in the gym. Here I would like to discuss an essential point that if you are visiting the gym that is not registered (not included in the list) by the gym pact, you can add all the details, and it will be added to the gym pact list latter. What About the People Who Workout at Home? Many people love to workout at home because their home is there comfort zone. Such people can also use pact app. Actually in 2013 two ways or you can say features were introduced to the people who workout at home. The first one is known as Motion Tracker which records motion for about 90 minutes. It will start paying you if about 30 minutes motion is recorded. The Motion Tracker is a good feature for such people. The second way is to use the other helping apps. Such apps may consist of activity trackers like MyMapFitness, Jawbone for Android phones and many others. These helping apps proved more efficient and reward you more for than motion tracker. Majority of the population avoid joining gym-pact, or they leave it after some time because they get tired of the routine (of daily work out). Apart from being fed up with the routine some of the customers’ complaint that their sessions are not being counted properly and in turn not paid accurately. So it is evident that after such a long work hard if you are not paid correctly, you will go for some other better option. But now the gym pact has tried to resolve the issue, and if you have any problem whether it is about the workout or any other you can complain within 24 hours’ time frame and each customer will be treated by priority service. The good side is that your issue gets resolve after your complaint and the bad thing is that it can be done only if you complain within 24 hours and after that, there is no benefit of your complaint. If the issue is other than the workout, then it will take time to solve your problem. Considering such points, I would like to advise you to take care of your working record initially and if find out later then report as soon as possible within 24 hours. Should You Use the Pact App to Keep You on Track? Definitely, none of us would like to waste money. But if you are using it for your benefit, then it is not getting waste at all. So you take this app in this sense that it is for your benefit. The motivational fact is that it is totally free and you will be fined for your own mistake, not for any wrong reason. In my point of view, Pact App is the useful app because it forces you to go to the gym which majority of the population avoids and never take care of their health. So I think everyone should join it by remembering its benefits not difficulties. And after some period, it will become part of your routine to go to the gym and take care of your diet. Though it has some flaws, I think the app is working to improve its function, and I hope soon it will be free from all types of errors and flaws. As discussed above, if you are looking for money making opportunity that will replace your job then I recommend only one platform to be part of. Click this link to more about that platform.